Introducing Adelaide script typeface with sense calligraphy style clean. Perfect for logos, poster, branding, quotes, product, merchandise, name tag etc. 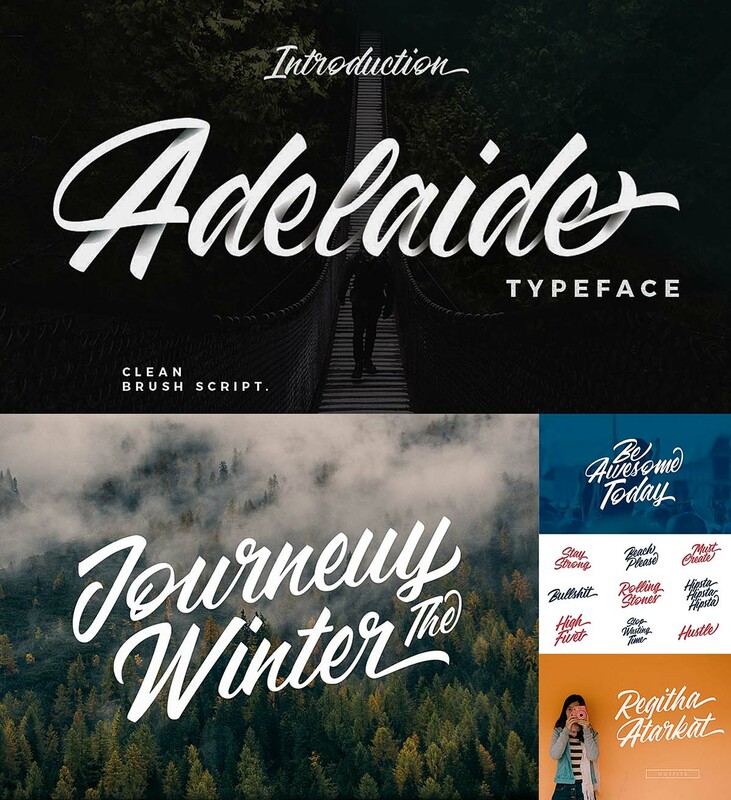 Tags: calligraphy script, elegant script, modern typeface, script font.